Get your free Wells Fargo credit score and complimentary credit report by visiting any Wells Fargo location to get your personal access code. For more information about this limited time promotion, visit https://www.wellsfargo.com/freecreditscore and take part of the “Get Smart About Credit” program Wells Fargo is offering. 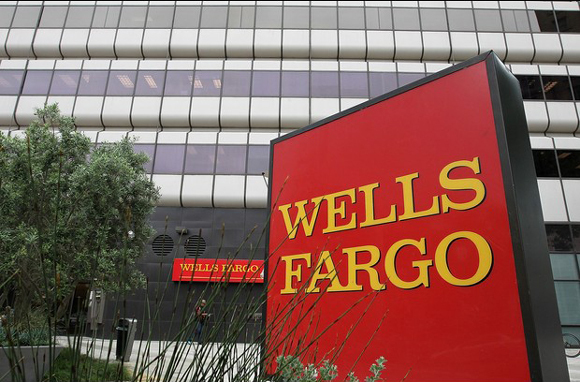 What is included in daily credit monitoring from Wells Fargo Identity Theft Protection — Included in both identity theft protection programs from Wells Fargo is daily credit monitoring. Daily credit monitoring monitors accounts, public records, new inquiries or derogatory information that is added to their credit report by a major credit bureau. Customers will receive a notification of any activity. Protect your credit and Safeguard your personal credit by monitoring and managing your credit report — Every time you apply for credit, you’re giving lenders permission to see your credit report. And other creditors with a qualified permissible purpose — such as sending you a pre-approved credit card offer — can check your report without your permission. By being proactive and checking your credit report on a regular basis, you will be better prepared for negotiations with lenders and can also get early warning signs of fraud. You should review your credit report from the three major U.S. credit reporting agencies (Equifax, Experian, and TransUnion) at least once a year, especially before making a large purchase, like a buying a house or a car. Credit agencies charge fees for reports. However, you are entitled to one free credit report from each of the three major credit agencies once a year from annualcreditreport.com or call toll-free 1-877-322-8228. In addition to checking your credit report, reading your credit account statements each month can also help. If you have a credit card account with online access, check your account regularly between statements to promptly identify any unauthorized charges. If you notice any suspicious charges, contact the company right away. If someone used your credit card without your permission, making you a victim of fraud or identity theft, contact your financial institution immediately. You may need to close your current account and open a new one to avoid further fraudulent charges. To protect your credit, find out if your credit card issuer offers email or text alerts. You can also consider enrolling in credit monitoring services, which will alert you to changes in your credit that may indicate fraud. Credit card fraud, identity theft, and administrative mistakes can happen to anyone. By taking preventive steps, you can help protect your credit.